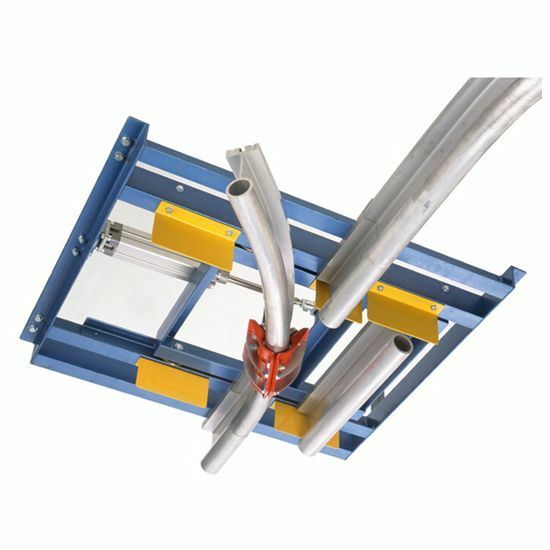 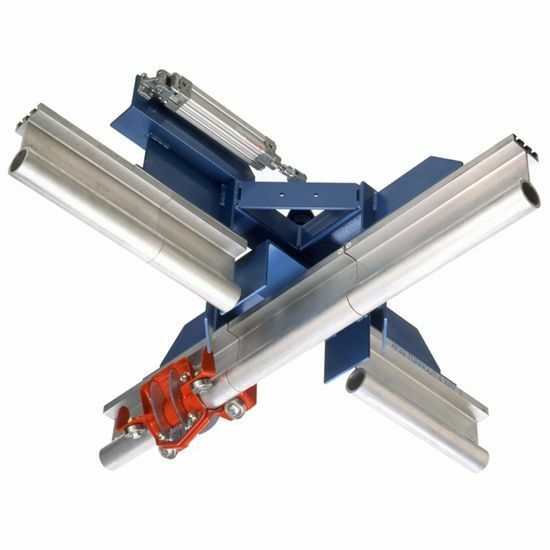 The Altrac Monorail System in its simplest configuration is unrivalled for materials handling applications or when loads need to be moved over a greater distance, but not necessarily back and forth as with a gantry crane. 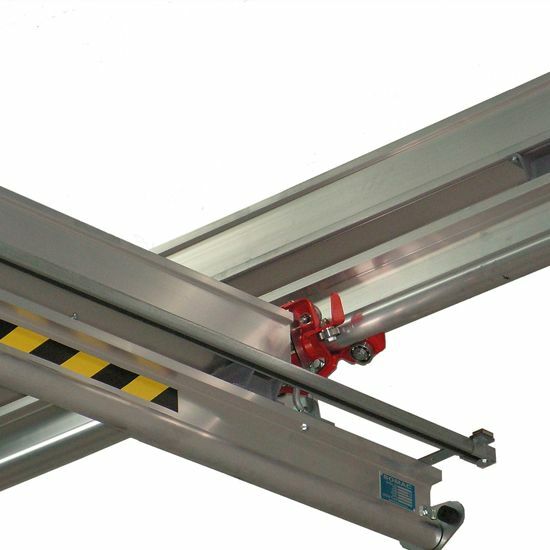 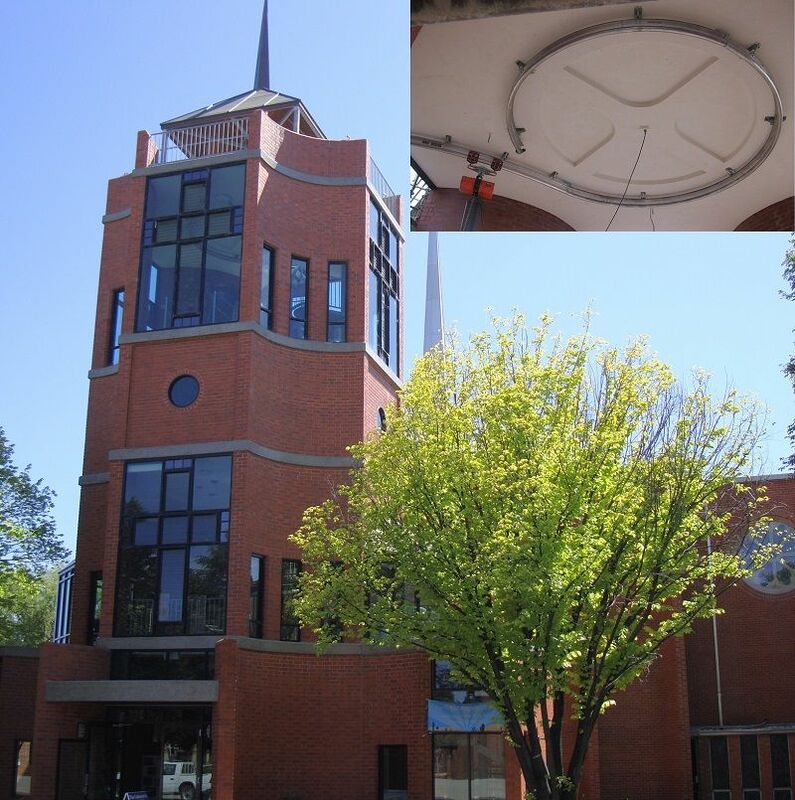 The Altrac Monorail may be mounted in the roof or freestanding with a frame. 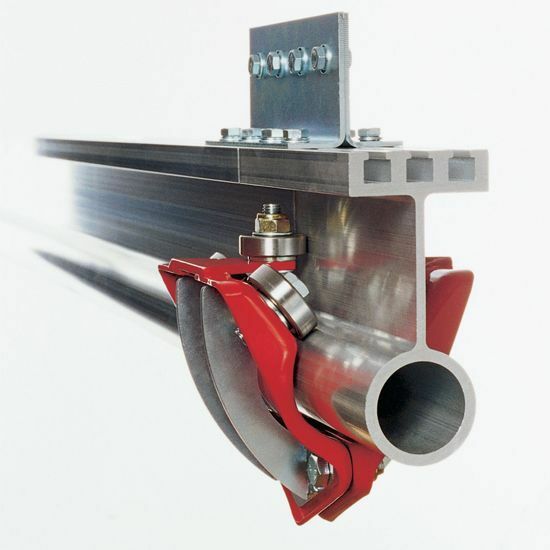 Altrac's capacity to be rolled into bends or used in combination with turnouts and switches means monorails can be designed to fit almost any building envelope. 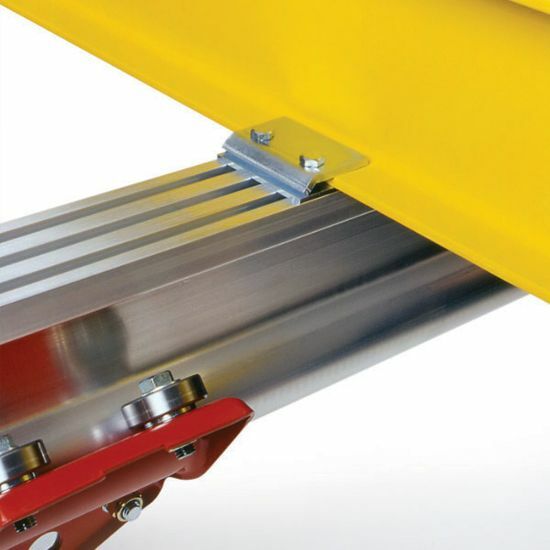 The unique design of the Altrac Trac Trolleys enables them to run smoothly even when negotiating curves. 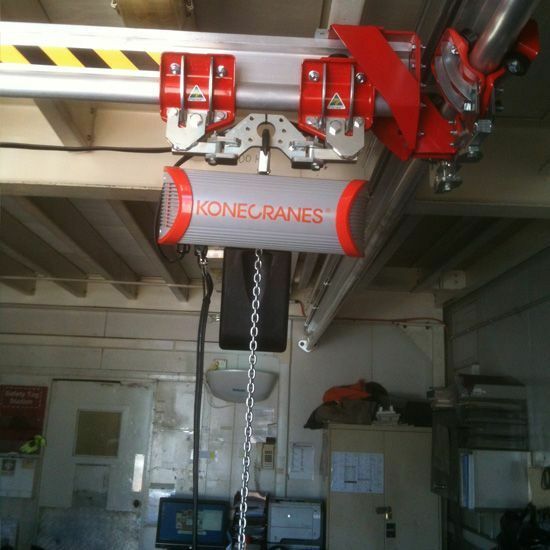 This means the trolleys will not stick or require additional effort from the crane operator. 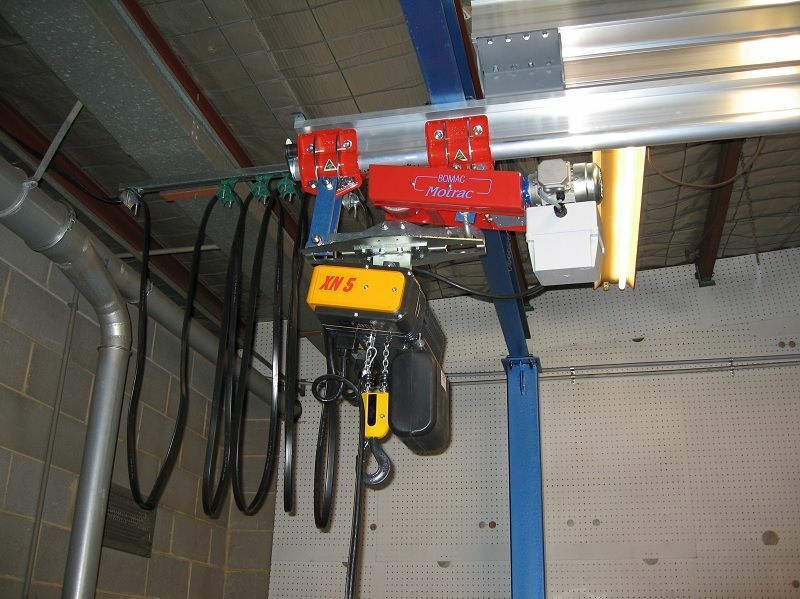 Altrac monorails can accommodate up to 1000kg MRC and handle any type of lifting mechanism. 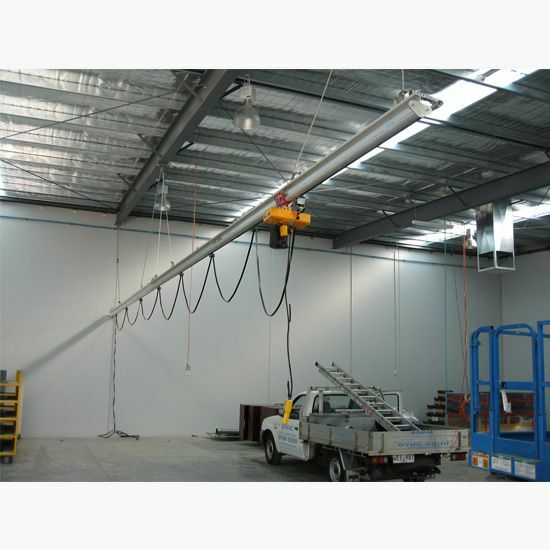 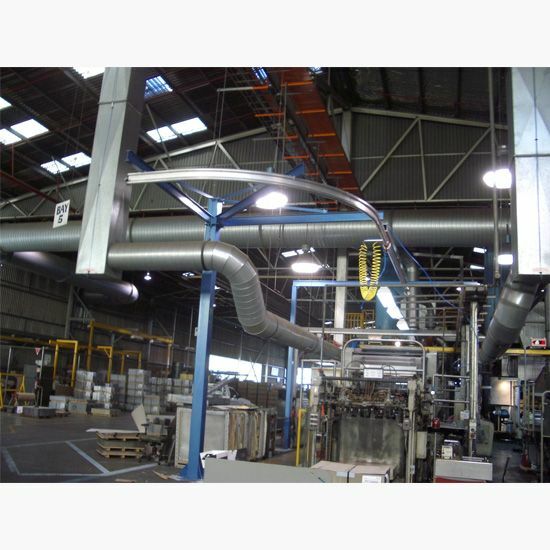 Manual, electric, pneumatic hoists or vacuum lifters may be attached. 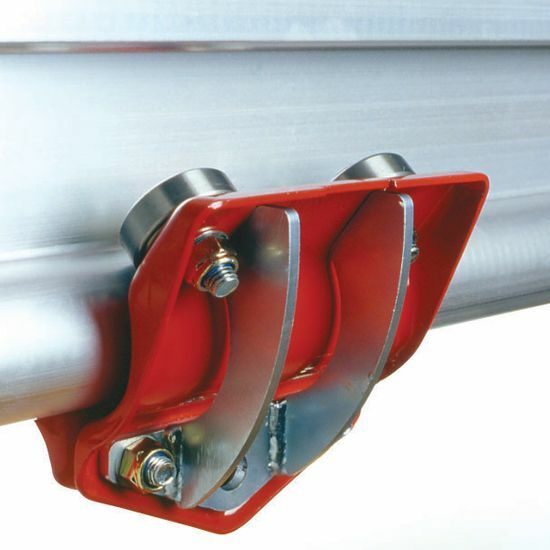 The lightweight easily installed Altrac monorail system is also utilized in the specialist area of on-site fall arrest systems designed for abseiling down architectural structures, maintenance access on large trucks and equipment such as used in mining and construction industries. 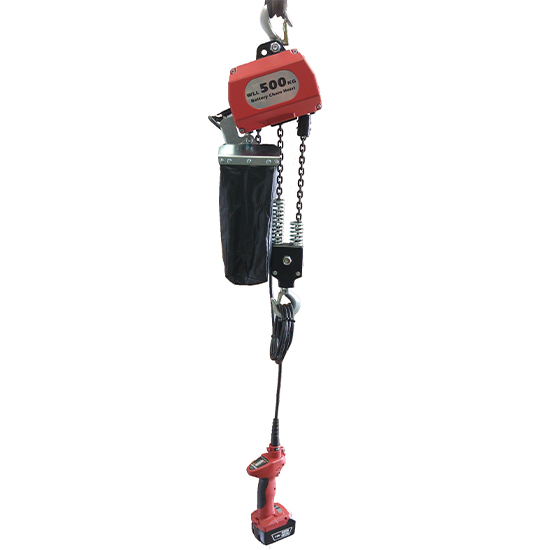 For more information on fall protection, please visit our fall arrest or rope access page. 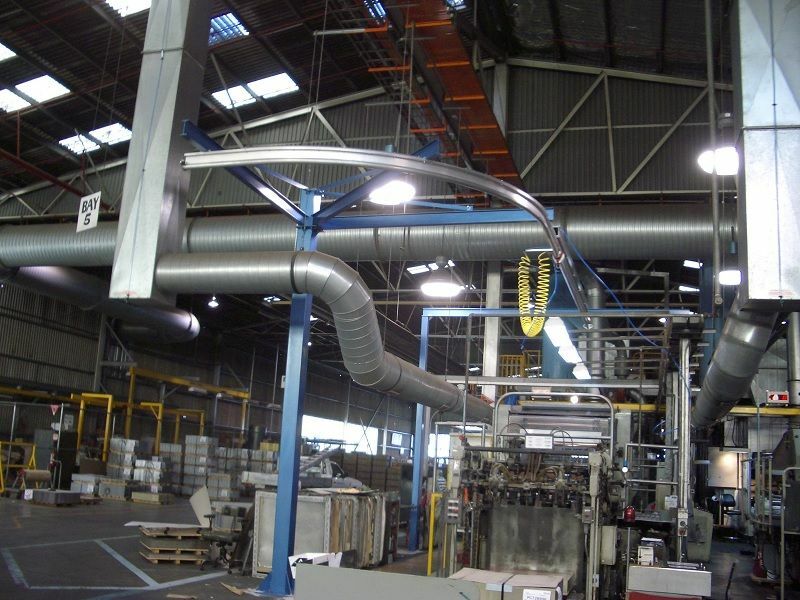 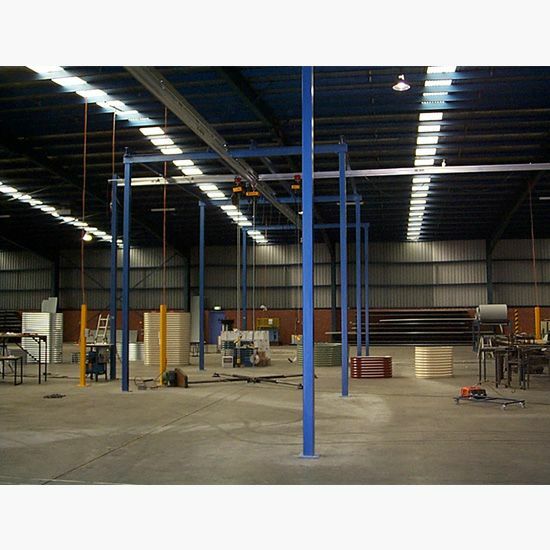 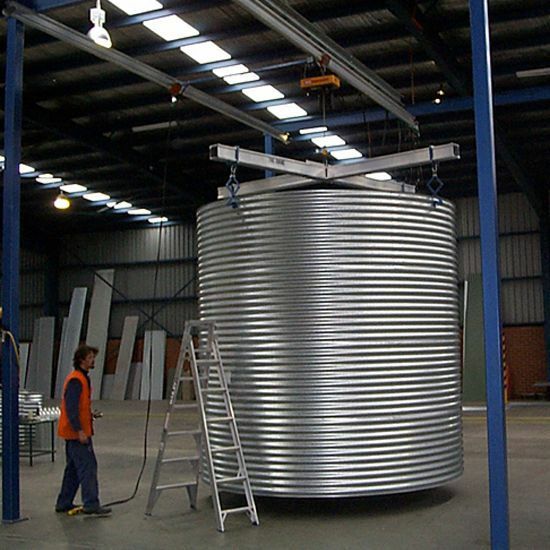 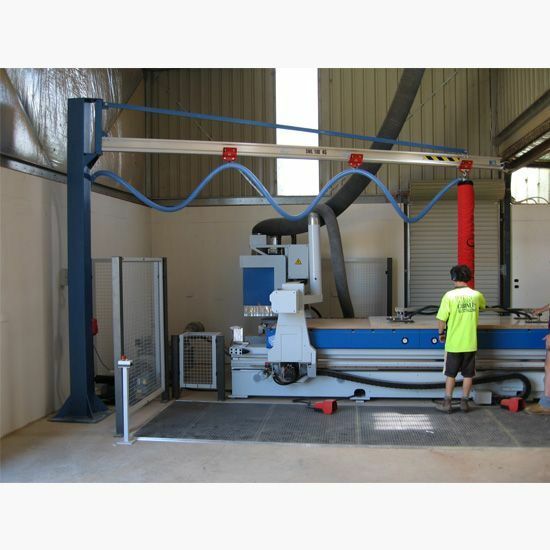 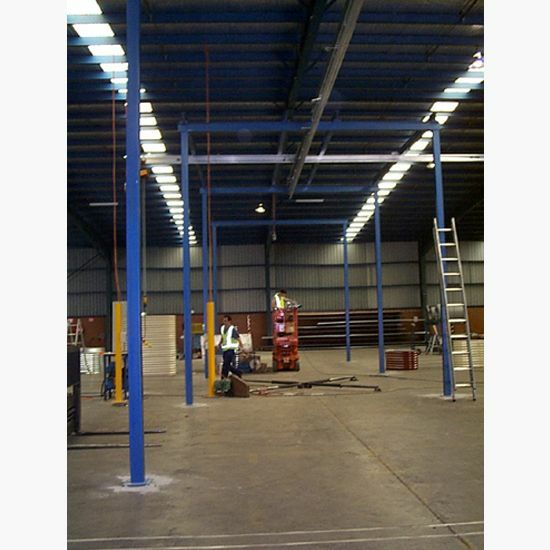 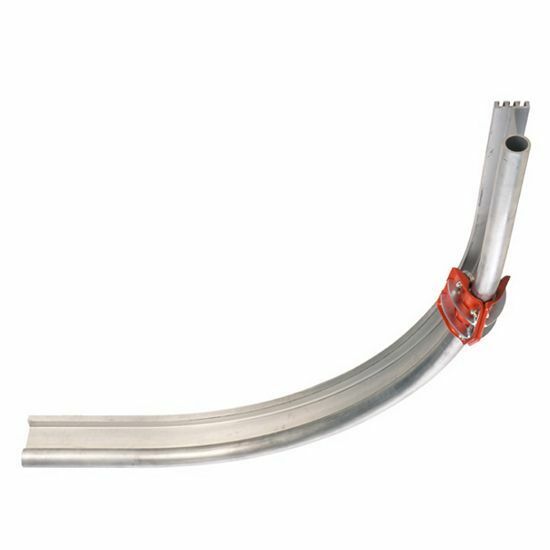 All Bomac Engineering products are compliant with Australian safety codes, including Australian Crane Code AS1418.